Saving money can help you become financially secure and provide a safety net in case of an emergency. It’s the start of a new year and with all the excitement it generates, related stress is an issue for many . You’ve probably experienced one or more of those moments where you worry about getting more exercise, weight loss, career change, and other personal goals. Also, on that list are financial concerns and goals. Am I saving enough for my retirement? How much should I be saving every day/week/month/year? When should I start saving? I’m ___ years old and haven’t started saving any money. Is it too late? There are many types of bank accounts to choose from at most banks. As a Seacoast Bank customer, you can speak with one of our representatives who can match you up with the best account for your needs. Knowing where and how to save, is just as important as the commitment to save. Remembering to put money aside can be problematic for some so being able to set up a recurring transfer of funds into your preferred account, can help. You set it up once and let it run without ever having to think about it again. Automating your savings can also ensure that you honor your commitment to your goals and objectives. There are many types of savings one should consider. There are long-term options such as retirement plans and CDs as well as some that are more accessible in the short-term such as money market and savings accounts. In addition to any and all of those, it’s important to contribute toward a “rainy day” fund. Sometimes called an emergency fund, this account should hold approximately three to nine months of expenses and only be used when an urgent event takes place such as a loss of work, medical emergency, etc. After use, be sure to make it a priority to fund again. One of the first steps toward saving money is curbing your expenses. Sometimes that means changing your shopping habits. For example, purchasing fresh produce versus prepared and packaged alternatives. With convenience often comes higher price tags. Also, look out for sales, discounts, bulk purchases, and BOGOs (buy one get one). In addition to what you purchase is when and how. If your workplace is conveniently located by some great lunch spots including restaurants and cafeterias inside your building, you may find yourself regularly purchasing lunch and snacks. By packing your lunch in advance, you can significantly save money throughout the week and even eat healthier. Guess what? Being healthy also saves you money. You may have purchased your home, vehicle, or another large purchase at a time when interest rates were high. Perhaps your credit rating has improved since that time. This may be a great time for you to review your mortgage and financed items to see if you are eligible for refinancing. Your home and vehicle are typically the largest monthly expense items so if you can find a way to reduce them, you will have more money to set aside toward your savings. Whether you need more heat or more cool air, the thermostat extremes you set can significantly impact your electrical bill. During the warm weather, it’s recommended that you set your home’s cooling system to 78° Fahrenheit when you’re home or 88°F when you’re away. In the winter, you can save energy by keeping your thermostat set to 68°F while you’re at home. Additionally, a poorly insulated home can contribute toward paying more than you should to the utilities company. Consider getting your home properly insulated by a professional. Also, smart thermostats can help you save money over time. 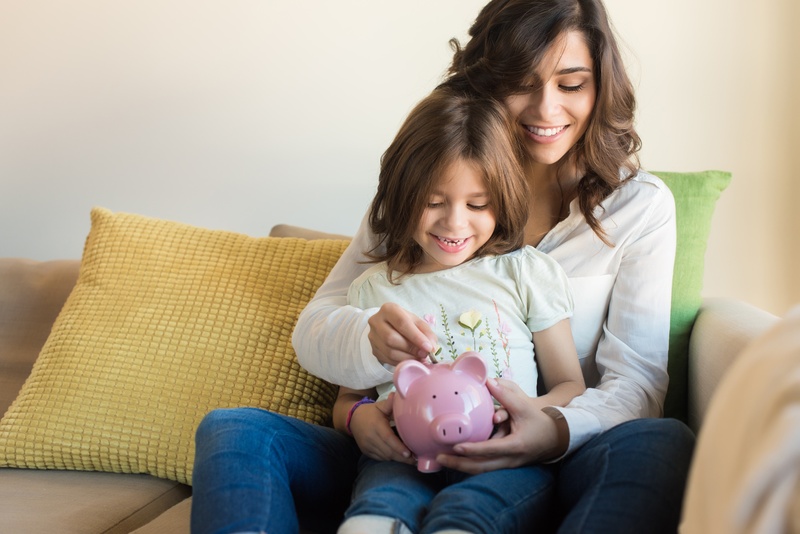 It was once said that “if you fail to plan, you are planning to fail.” Those words could not be truer when they come to constructing a savings plan. Create a simple document or spreadsheet that prioritizes what you are saving for and set attainable goals that can increase over time as your income grows. Many plans fail and never make it far when the goals are unrealistically set too high. Find a comfortable starting point, no matter how small it is. Also, determine the number you wish to reach and the timing of that. Budgets aren’t just for businesses and government. Everyone should have a budget for themselves and their families. It doesn’t have to be complex and can be as simple as listing out all the common monthly expense items as well as some unexpected expenses that may come up. Add your net salary and any other income to the budget and subtract from the total expenses. There are several spreadsheet templates you can find by searching online or you can document it in another way you prefer. The idea is to have a budget that you can follow and revise as your circumstances change. While there is so much that you can do on your own, there is great value to seeking the advice of a financial professional. A good start is to speak to a Seacoast Bank representative. In addition, there are financial planners, financial advisors, and wealth specialists that can offer even greater long term planning counsel. These are just a few great tips that can help you get on a healthy and realistic savings track. There are so many great tips that we could include that would make this a top 100+ list. If you have some tips of your own that we didn’t cover or you have some success stories after following these tips, please share them with us and the other readers.